There never really was any doubt...was there? 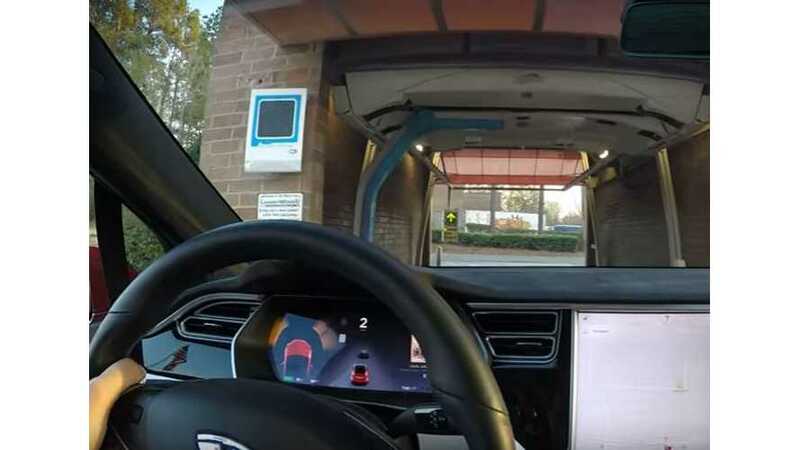 The unique Falcon Wing doors on the Tesla Model X have been criticized and praised for various reasons, but it seems they do the job of keeping the water out at an automatic car wash.
We don't recommend using an automatic car wash though, but that's because of the damage done to the paint. ... and definitely not because water and electricity don't get along, lets put that old myth long to bed. Driving an electric car through a car wash presents no danger, just remember to not be a fool and close the windows before entering the washer.